Lowe Vintage is open Tuesday - Friday, 10:30am-6:30pm EST, and all other times by appointment. If you would like to set up an appointment, please use the “Contact Us page or give us a call. If you have a piece that you are looking to sell, please note that we cannot make a proper evaluation on an instrument until we have seen it in detail. It always helps to bring it by the store, but if you don’t live in the North Carolina area feel free to send detailed photographs of the instrument in question. We do buy instruments outright, trade, and consign. If you would like to talk with us about selling an instrument or about a consignment, please use the “Contact Us” page or give us a call. Unfortunately, Lowe Vintage is no longer able to offer repair work on outside instruments. Because we are a small shop with a one-man repair department, we are only able to work on instruments we are readying for sale or have previously sold. 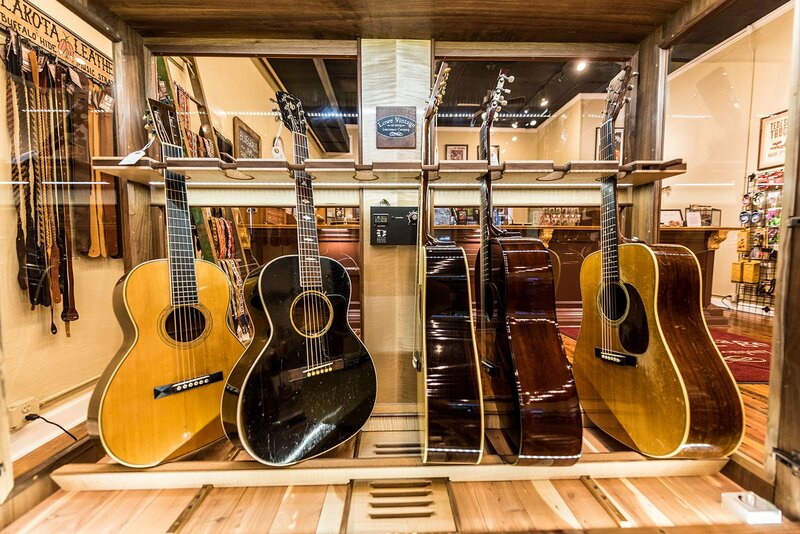 If you buy an instrument from Lowe Vintage, we will be at your disposal for as long as you own the instrument. We are happy to provide a list of recommended luthiers in the NC area for instruments not purchased though our shop. We strive to provide high quality photographs and write-ups for every instrument in the shop describing the overall condition, any previous repairs, and all work done to the instrument once we received it. If there’s a particular piece you’re interested in, use the “Contact Us” page or give us a call and we would be happy to give you a detailed, in-hand description or additional photos. If you see something you like, please call us or use the “Contact Us” portion of the site to initiate the ordering process. We can hold an instrument for you for up to one week without a deposit, but if payment is not received during that timeframe the hold on the instrument will be removed and we will not be able to hold an instrument for you in the future. If you wish, you can make a 25% deposit on an instrument during the initial one week holding period and we can hold it for you an additional 30 days. Please note that deposits are non-refundable. We accept all major credit cards as well as bank wires and cashier’s checks. We will also accept personal checks, but please understand that we must wait for the check to clear before we can ship out an instrument. Want to get notifications for a specific instrument?